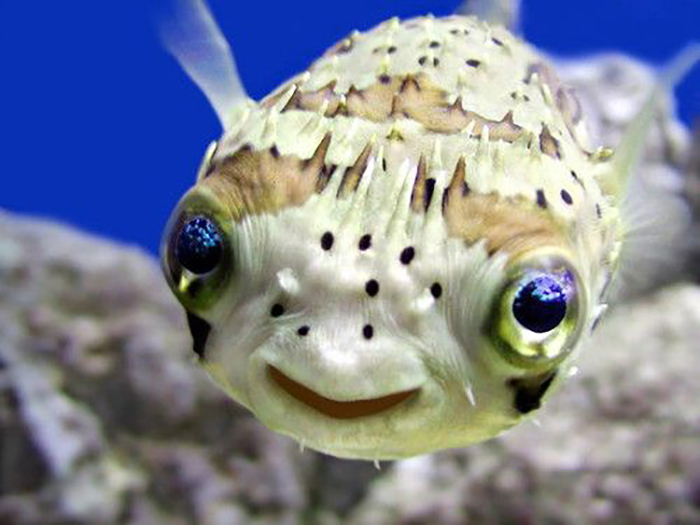 In reefkeeping, there are a million products and techniques, each claiming to be a necessary ingredient for a successful reef tank. The problem is that many of these claims have little, if any, evidence to support them – so how are we supposed to know which ingredient, product or method is useful and which is bunk? Well, we can bellyache that someone else should figure it out and let us know, or we can get up off our collective butts and start producing evidence ourselves by doing some simple experiments. If “Joe Yaiullo’s Magic Juice” existed, it would do whatever Joe said it would because Joe would test it. Joe rolls like that. Photo by Rich Ross. At MACNA 25 in Denver, the potential for the new ICP-OES aquarium water testing by Triton Lab in Germany made many saltwater hobbyists swoon. The possibility of getting a real good look at what is going on chemically with the water in our glass boxes for an affordable price is incredibly appealing, since traditional ICP-OES testing is expensive and time consuming. 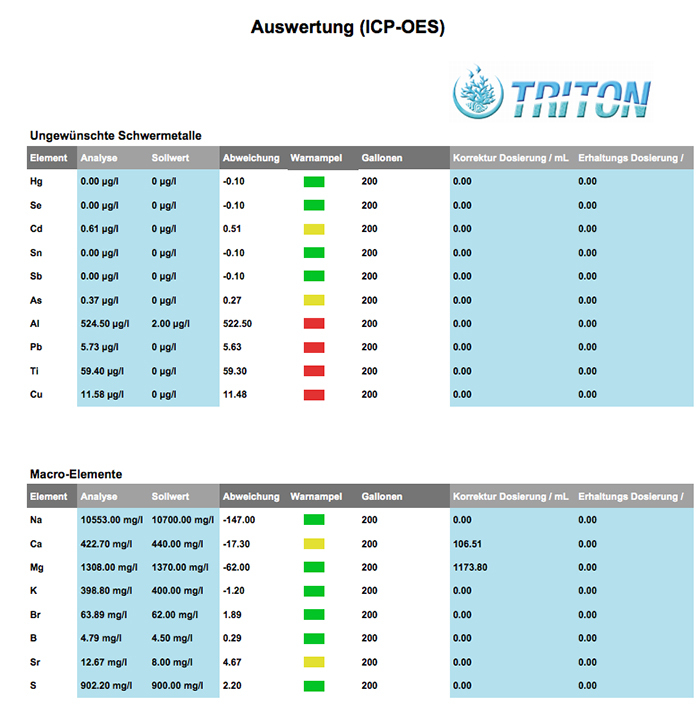 In this installment of Skeptical Reefkeeping, we explain how ICP-OES testing works, explore the challenges of testing saltwater with ICP-OES, develop an understanding of the methods used to address those challenges, and discuss the results from the testing of a certified artificial saltwater standard that was sent to Triton Lab. A partial look at some of the Triton Lab results taken from the available downloadable PDF. 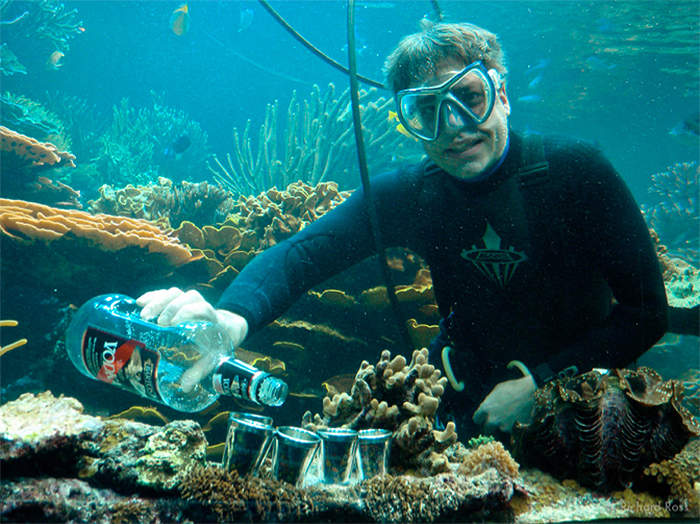 A discussion of the “Triton Method”, the “setpoints” used by Triton Lab, or what levels of which elements require action on the part of the aquarist is beyond the scope of this article.